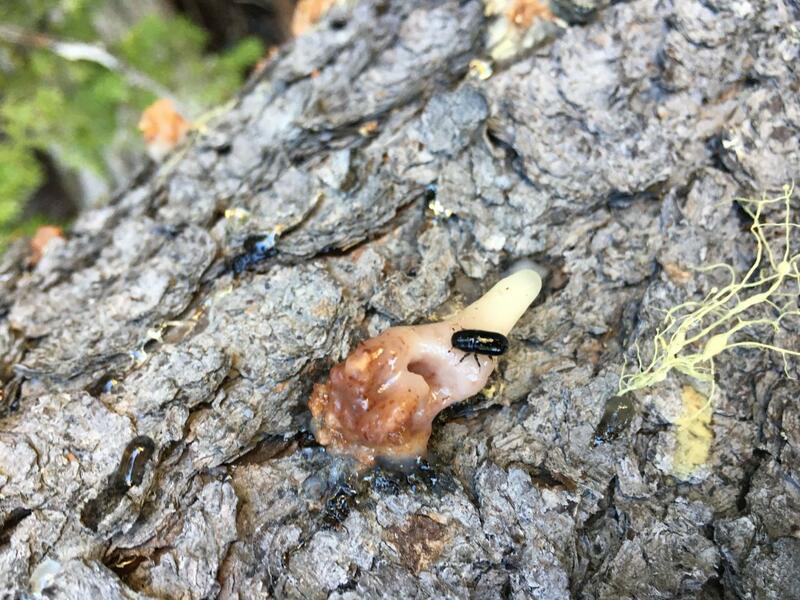 "Trans-verbenol is a pheromone that female mountain pine beetles use to attract other insects to a suitable host tree and coordinate large-scale attacks," said Christine Chiu, lead author of the study and graduate student at the Michael Smith Laboratories at UBC. "It was previously assumed that adult females produced trans-verbenol by converting toxic compounds found in the resin of new pine trees they landed on into pheromones. In this study, we found that the beetles have some secrets: they actually accumulate and store trans-verbenol during their larval and pupal stages in the brood trees as they grow." "What we have found is that female beetles can release trans-verbenol independent of whether or not they are in contact with alpha-pinene, the compound found in the resin of new host trees," said Joerg Bohlmann, the principal investigator of the study and professor at the Michael Smith Laboratories and faculty of forestry. "This shows that there is a certain level of independence on the part of the attacking female bark beetles to produce this compound." "Scientists have been making predictions of how well the beetles will do in those new areas based on the chemical profiles of trees in these new areas. The trees may have different ratios or types of alpha-pinene that result in different kinds of trans-verbenol, which may have an impact on how attractive it is to the beetles," said Chiu. "Our findings suggest that rather than looking at the chemical profiles of the trees the beetles are attacking, we should perhaps be looking at the brood trees the beetles develop in."